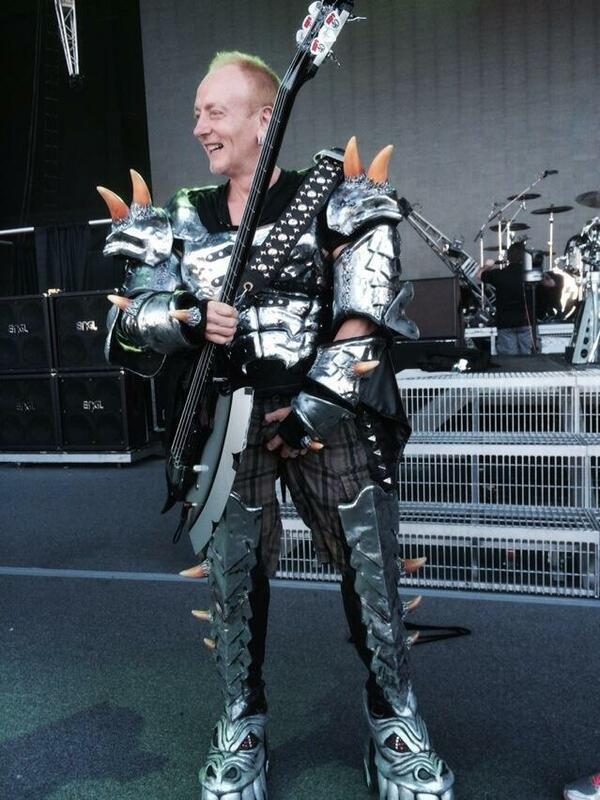 En belåten Phil Collen, Def Leppard provar demondräkten i Chula Vista. 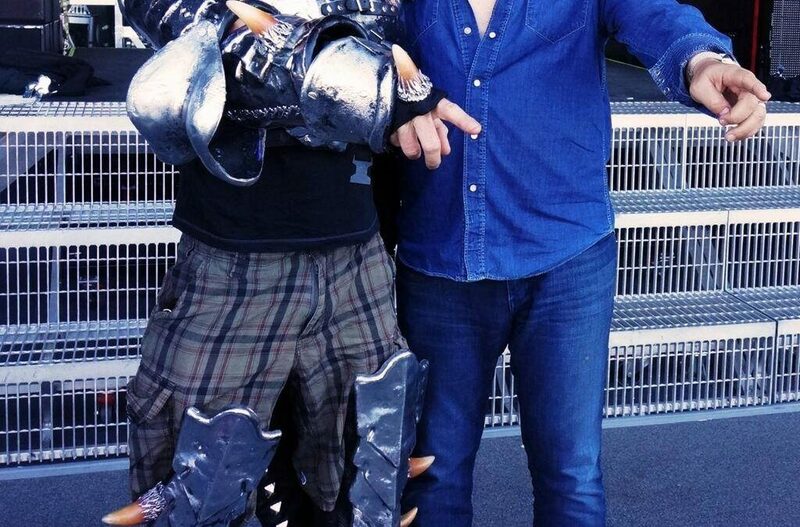 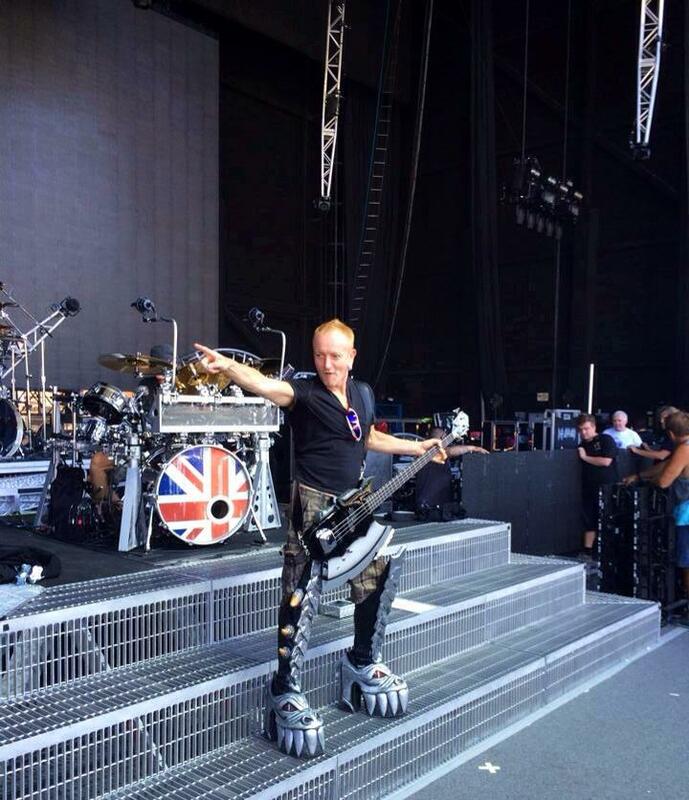 Def Leppard’s Phil Collen gets KISSed in Chula Vista! 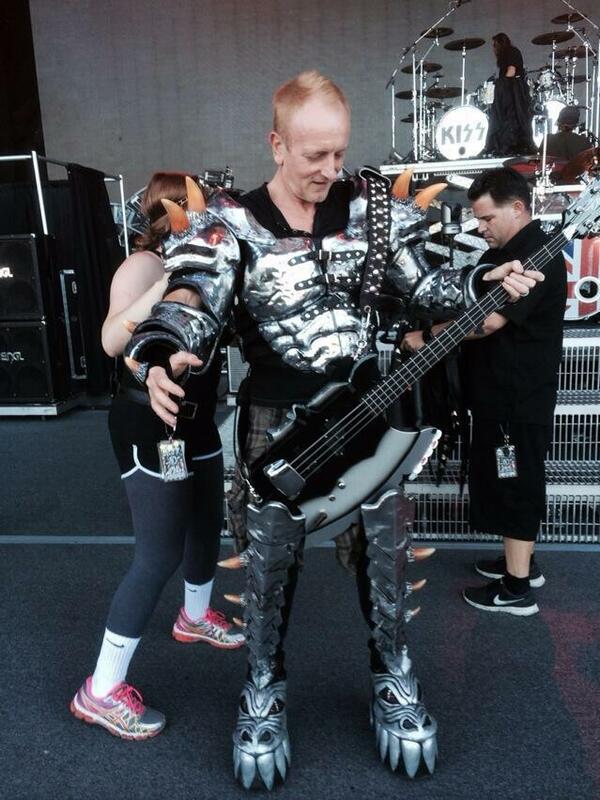 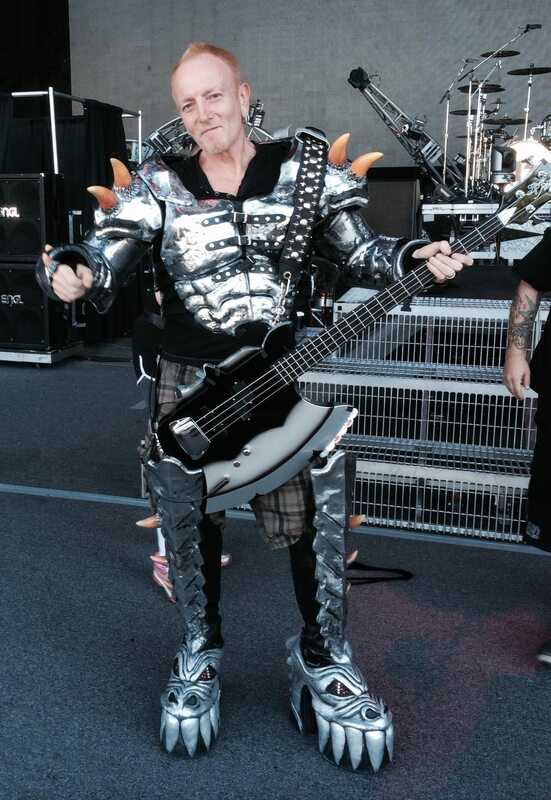 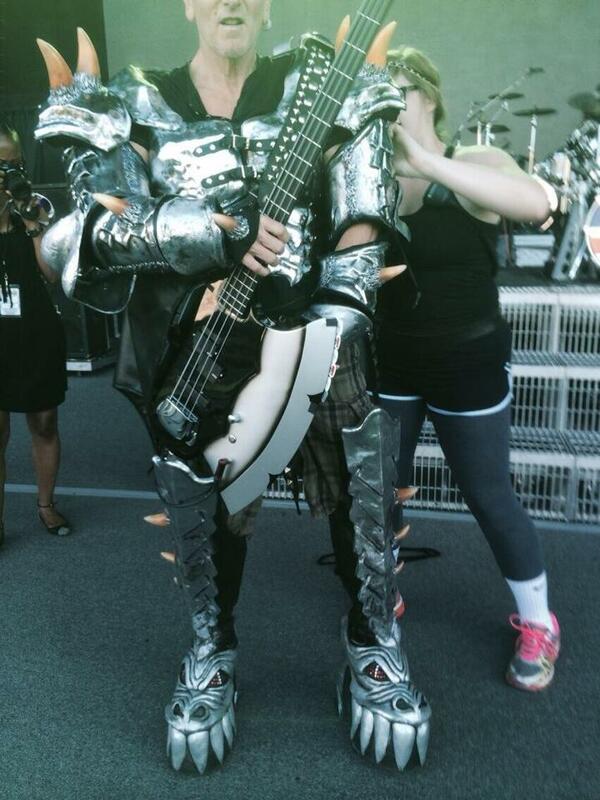 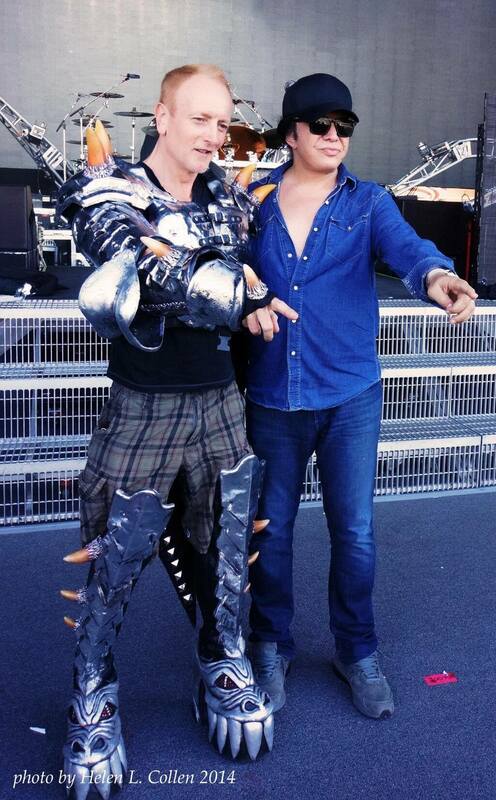 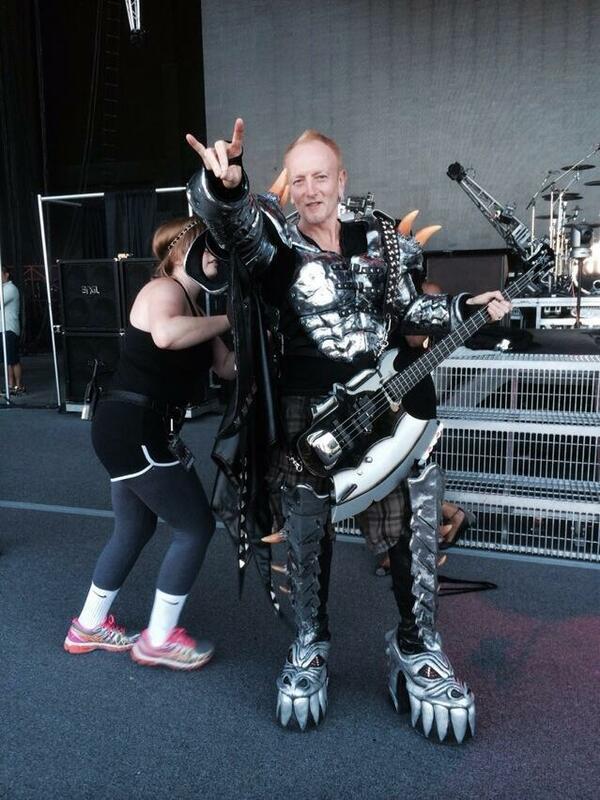 Here’s Def Leppard’s Phil Collen sporting Gene Simmons costume and bass at the Sleep Train Amphitheatre in Chula Vista, California.